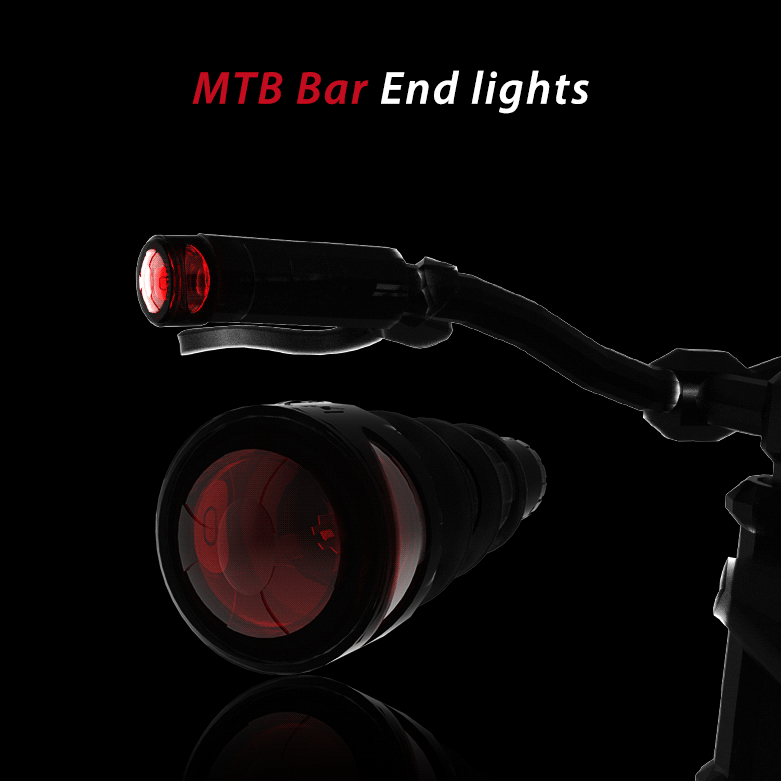 Mountain Bar End Lights - bike lights | Q-LITE Co.,Ltd. 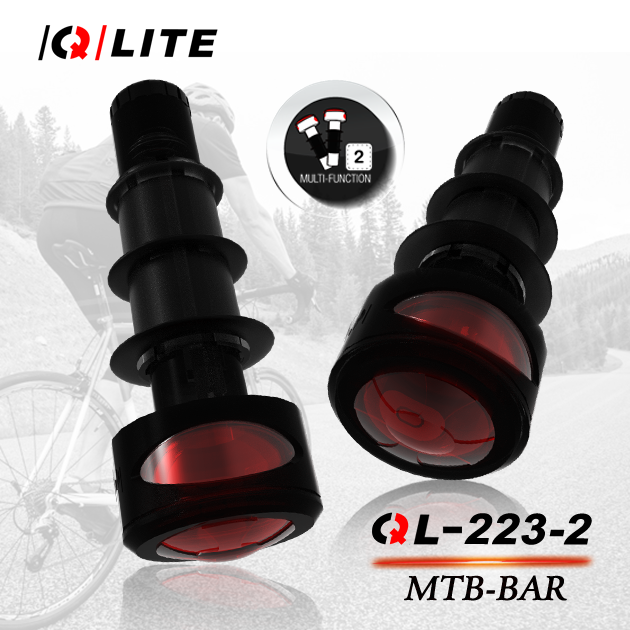 QL-223-2 Mountain bike handle light. The QL-223-2 is a good helper when riding in the dark. It increases the side warning range and makes night riding safer. With the LED flashing red, it flashing up to 54 hours to give the best security. The installation is very simple. 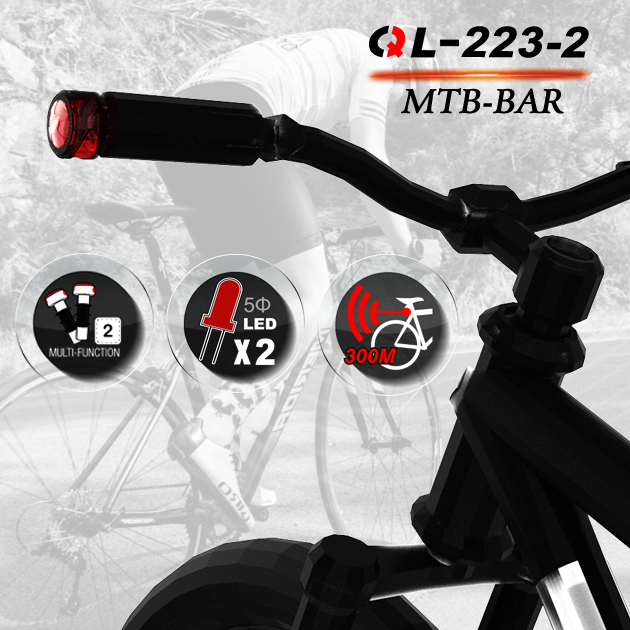 Take QL-223-2 rotates into the handlebar on both sides. The handle has an outer diameter of 17mm and an inner diameter need to be more than 17mm. When you need to remove it, simply rotate it out.